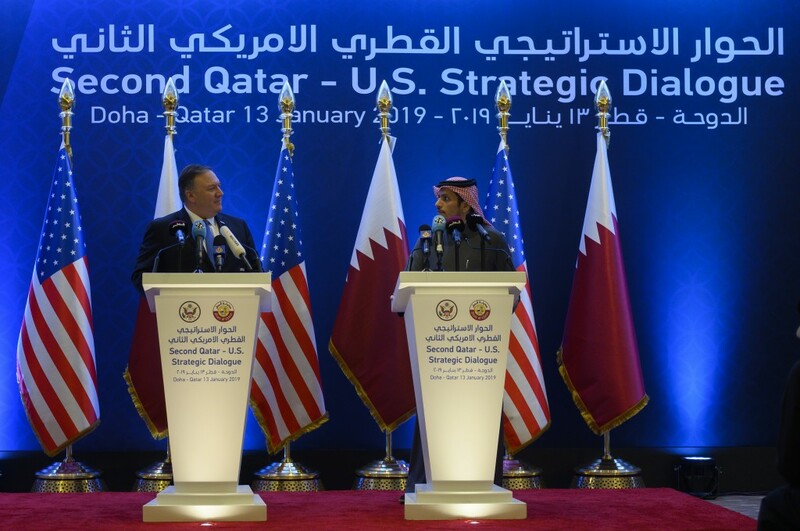 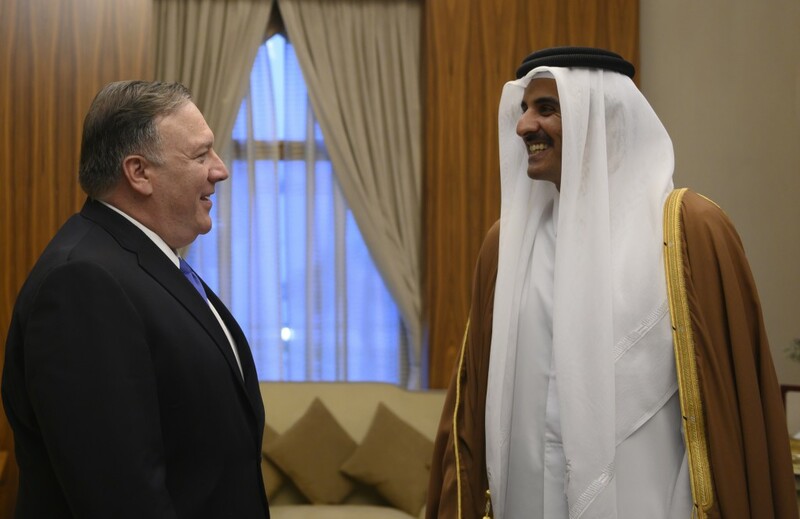 U.S. Secretary of State Mike Pompeo, left, shakes hands with the Qatari Emir Tamim bin Hamad Al Thani, at the Sea Palace, in Doha, Qatar, Sunday, Jan.
RIYADH, Saudi Arabia (AP) — U.S. Secretary of State Mike Pompeo is in Saudi Arabia for talks on a range of Mideast crises topped by the conflicts in Syria and Yemen, threats from Iran and the Saudi response to the murder of journalist Jamal Khashoggi last year. 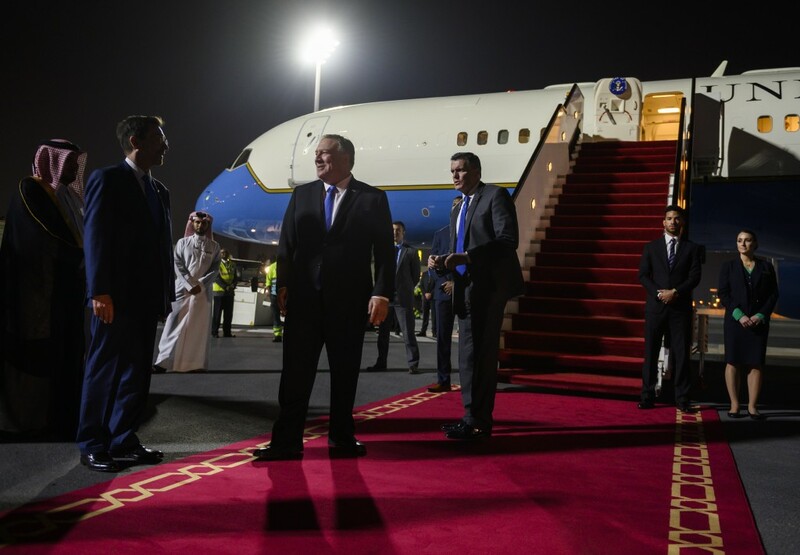 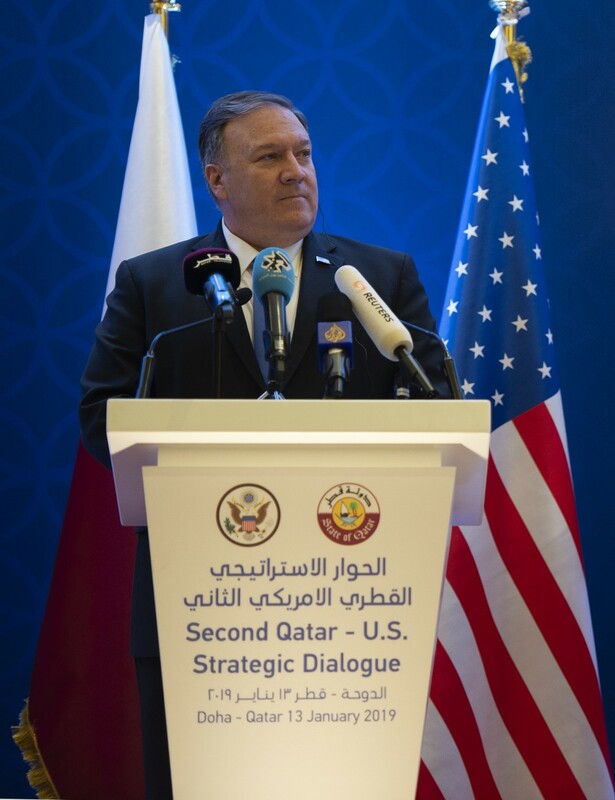 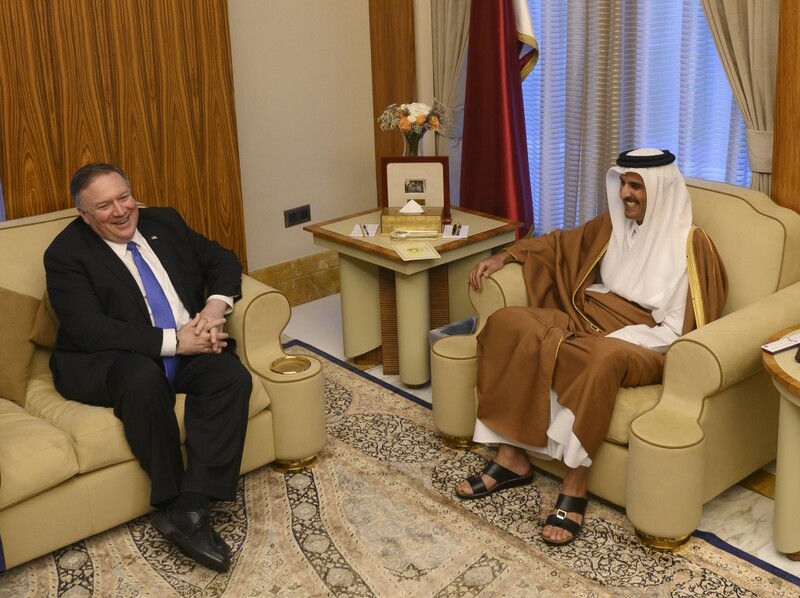 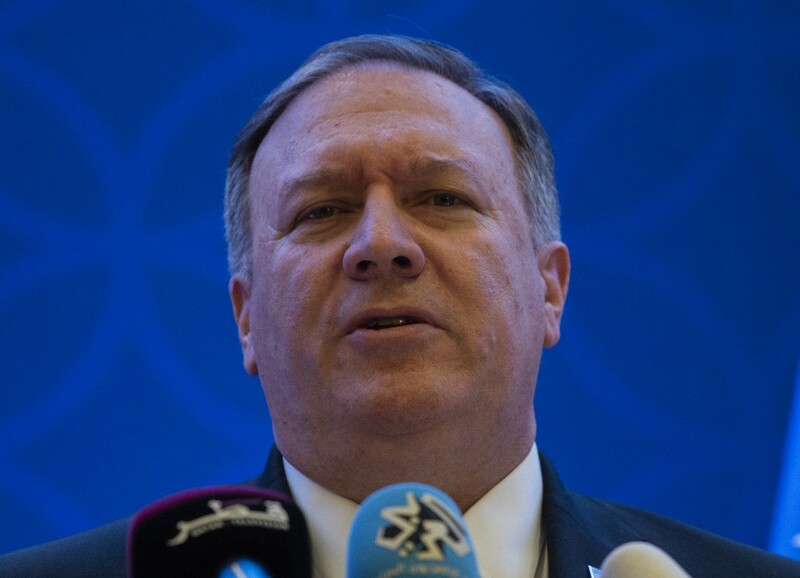 Speaking with senior Saudi officials on his arrival in Riyadh late Sunday, Pompeo stressed the importance ending fighting in Yemen and keeping up pressure Iran. 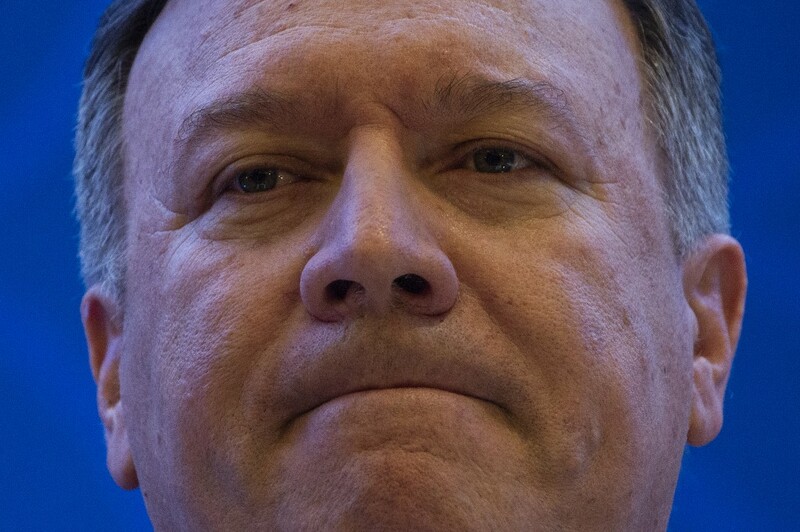 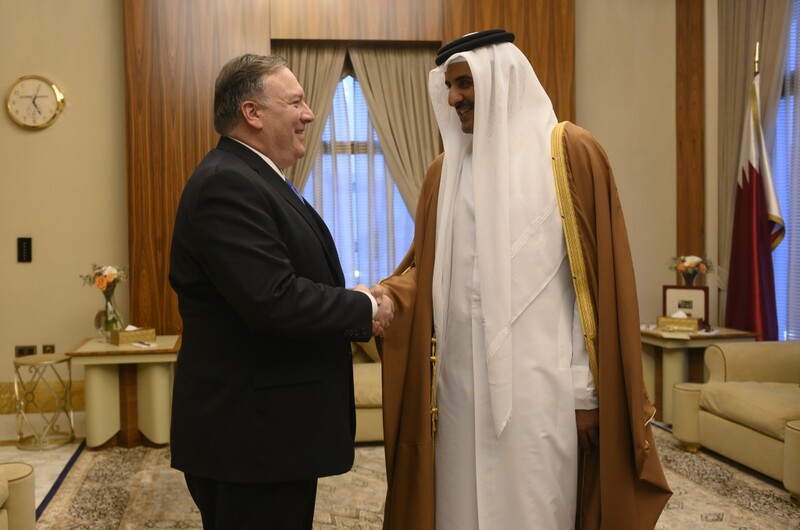 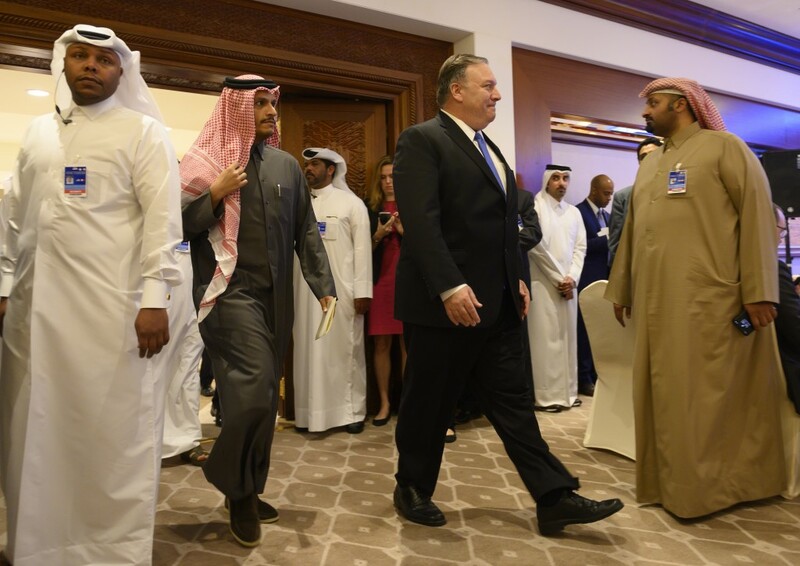 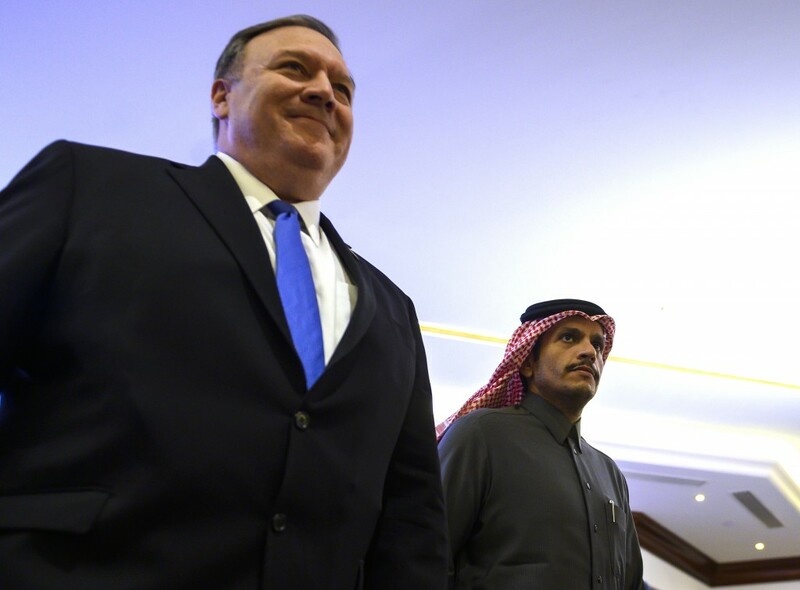 The State Department said Pompeo also made clear the importance of a credible investigation into Khashoggi's killing at the Saudi Consulate in Turkey in October.